d’un partenaire pour le transport express de colis et de documents qui tient ses promesses. C’est dans un esprit de service global que TaxiSat rammène vos colis, vers les entreprises et les particuliers, à TUNIS et dans les 23 gouvernorats. Pour nous, battre des records n’a de sens que s’ils profitent à votre entreprise. Bien sûr nous vous livrons vos colis express en temps et en heure. Mais au-delà, notre défi quotidien est de vous apporter la sérénité qui vous permettra de vous consacrer pleinement au développement de vos activités. 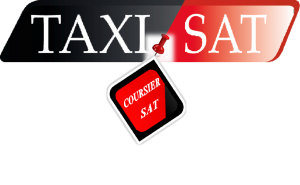 Réservez votre coursier via 71.187.600 ou coursiersat@taxisat.tn. I genuinely enjoy reading on this web site , it holds fantastic articles . « I have a new philosophy. I’m only going to dread one day at a time. » by Charles M. Schulz. Fantastic website. A lot of useful info here. I am sending it to several friends ans also sharing in delicious. And naturally, thank you in your effort! Great amazing things here. I am very satisfied to look your article. Thank you so much and i’m looking forward to touch you. Will you kindly drop me a e-mail? It is really a great and helpful piece of info. I am happy that you shared this helpful information with us. Please keep us informed like this. Thanks for sharing. Normally I don’t learn article on blogs, but I would like to say that this write-up very pressured me to check out and do it! Your writing taste has been amazed me. Thank you, quite great post. Excellent goods from you, man. I have understand your stuff previous to and you’re just extremely wonderful. I actually like what you’ve acquired here, certainly like what you are saying and the way in which you say it. You make it enjoyable and you still care for to keep it sensible. I cant wait to read much more from you. This is really a terrific website.